What Comes Out When you are Squeezed? The tough times that Saul faced revealed what was inside him. What do tough times reveal about you? During his first battle as leader of Israel, Saul defeated an enemy that dominated the Eastern tribes of Israel, as well as the Jordan valley. After that victory, the people finally accepted him officially as king. Saul conscripted 3,000 professional warriors and sent everyone else home. He let his son Jonathan command 1,000 of the soldiers. At this point, we need some historical and geographical background. Chapter 13:19-23 describes something very significant. It tells us that these events took place at the end of the Bronze Age, and the beginning of the Iron Age. Quite simply, at this point the Philistines had Iron-Age technology, and the Israelites did not. This is one clue to why the Philistines were so feared by the Israelites, and why they were such a persistent military problem. They had iron weapons, and the Israelites did not. When we keep this mind, this makes any Israelite victory over the Philistines something of a miracle. I want to chase a side trail for just a moment. 13:5 records the number of Philistine warriors. Some translations will say 30,000 chariots and 6,000 horsemen. Other bible passages record battles involving tens and sometimes hundreds of thousands of people. This seems surprising to me; in fact unlikely. For most of history, battles did not involve hundreds of thousands of people, and rarely involved even tens of thousands. It used to trouble me as a potential issue with the reliability of the bible. However, I think the answer may lie in ancient Hebrew. Ancient Hebrew did not include any vowels. The vowel was implied by the context. Even today, Hebrew vowels are expressed as little punctuation type marks, not by actual letters. Anyway, the point is, that the word for thousand “eleph”(“lp” in Hebrew) looks exactly the same as the word for professional solider — “alluph” (also “lp” in Hebrew). Thus, 100 lp could be 100,000 people, or simply 100 professional soldiers. In addition, “eleph” (thousand) can mean a few other things as well, just as many words in English have more than one meaning (For example: Present can mean “here” or “gift” or “the current moment in time” or “to show or display.”) Remember of course, professional soldiers were usually accompanied by peasant-militia troops as well. In addition, we have examples of parallel passages where extra zeroes have been added or dropped. 2 Samuel 10:18 records the defeat of 700 chariots; 1 Chronicles 19:18, speaking of exactly the same incident, writes 7,000. Generally, I would suspect the lower number to be correct. So if you ever read these numbers and think, “Gee, that sounds like a much bigger number than seems likely,” you can knock off a zero – and in some cases, three zeros – and still agree that the bible is faithful and reliable. The problem is simply in the translation. In any case, we ought to understand that whatever the actual number – 3,600 or 36,000 – for the times, it was a formidable professional fighting force that the Philistines sent into Israelite territory, along with a large number of peasant-militia troops. It was a big threat in two additional ways. First, up until this point, the Philistines had stayed mostly on the coastal plain. Technically, that was Israelite territory also, given to them by the Lord when they entered the promised land, however, Israelites had never really lived there. But in the incident recorded in 1 Samuel 13, the Philistines were pushing inland, up into the mountains that had been occupied by Israelites for hundreds of years. Secondly, the Philistine invasion recorded here nearly cut the nation of Israel in half. They pushed all the way to Micmash, which was just a few miles short of the Jordan River valley. If they moved all the way down to the Jordan, the largest tribe in Israel (Judah) would be cut off, along with the tribes of Benjamin and Dan, and roughly half of the territory of Israel would be isolated from the other tribes. In other words, the Philistines were about to take a gigantic, and possibly fatal bite out of Israel. See the picture at left. 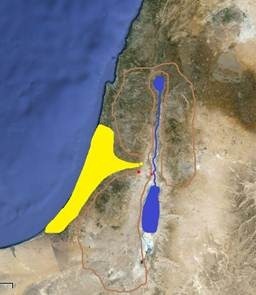 The brown line shows the territory occupied by Israelite tribes, and the yellow is the Philistines (this is a rough approximation, just to give you an idea of the danger they were in). Micmash is the yellow dot. The red dot next to the river is Gilgal, and the red dot closer to the Philistines is Gibeah. Israel was just a few miles and one lost battle away from a huge national catastrophe. It is interesting to note that Saul had originally held the position at Micmash, but retreated from the Philistines down into the Jordan valley. He gathered his army at Gilgal, a town in the Jordan river valley not far from the Philistines as the crow flies, but a fairly rough walk up or down the mountains by foot. The text doesn’t explain things clearly but apparently Samuel had sent a message to Saul, telling him to wait until he came, and then they would worship the Lord and make sacrifices before commencing the battle. In other words, they wanted God’s favor and help when they went out to fight. Now it is quite likely that Samuel’s home town was affected by this invasion. The Philistine forces may have also forced Samuel to travel a considerable distance out of his way to get to Saul – remember, they had almost cut the nation in half. In any case, days passed, and Samuel did not show up. Saul’s army got restless and afraid. No doubt, many men were thinking of their families, wanting to prepare them for the disaster, or wondering if their homes had already been overrun by the enemy. They began to desert. So Saul took action. He decided to go ahead and lead the worship and offer the sacrifices himself. He made the burnt offering. This was animal that was killed and completely burned up. No part of it was eaten – it was all “given” to the Lord through fire. It was used to seek God’s favor, to bring God’s forgiveness or to avert judgment. Just when Saul finished, Samuel finally made it to the camp. But Samuel didn’t see it that way, and apparently, neither did God. The prophet immediately identified that the problem was Saul’s heart. It wasn’t fixed on God. Instead we see now that Saul was not humble, but rather insecure. He was worried about the future of Israel, of course. He was worried about his own ability to keep the men with him and maintain an effective fighting force. He did not trust the Lord with these concerns. Instead, he trusted in his own action. He trusted in the offering ceremony. Clearly, Saul viewed the offerings as a tool. It was a way to keep his army together and energized; perhaps also a way to manipulate God into helping him. 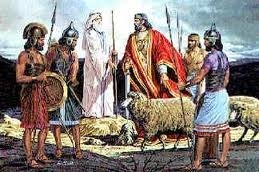 Saul did not offer the sacrifices to please the Lord, or because was personally repentant or worshipful. 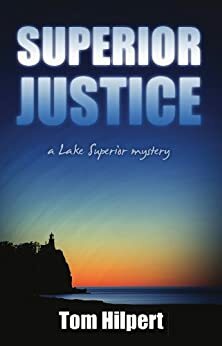 If either of those had been the case, he would have waited for Samuel, who was the one who was supposed to do such things. When Saul was squeezed by his circumstances, he did not put his faith steadfastly in the Lord. He refused to wait on God or on other people. He let his insecurity rule him, and he chose to act, rather than depend on the Lord. When Saul was squeezed, it was fear that came out. He put his trust in the number of men he had, rather than the Lord. It was more important to him to keep as many men as possible, than it was to seek God and his favor. His situation was not easy. But it didn’t cause his heart-problem – it just revealed it. This is all about trusting God when things don’t look good – maybe things look disastrous. If you get squeezed, what do you think will come out? What is in the treasure-store of your heart? What if it isn’t good? What if, like Saul, you have insecurity hiding there? What if there is rage or hatred or jealousy or selfishness? I think Saul had the opportunity to repent. When he was tempted, he could have turned to the Lord, confessed his weakness, and put his trust in the Lord. I think that is what we need to do when we are squeezed, and we see there is a problem in our hearts. MAKE A MOVE OR SIT STILL?